Facebook has become a major social media platform to interact with the target audience and promote products and services. There are more than 1.4 billion people logging on to their Facebook accounts every month. While companies are spending a separate amount of their marketing budget on Facebook advertisement, we bring to you the top 6 strategies to increase your reach on Facebook with zero Ad spend. It’s okay to have a little fun on your otherwise serious looking Facebook marketing page. Show readers the funny side of your company or brand; put some humorous or funny post every now and then, and see the audience feedback. Funny posts are the great source of engagement for people sitting on the other side of those screens. People love to read step-by-step guide or tutorial for how a thing should be done. This relieves them from the painstaking task of doing something and also encourages engagement. You can write a small blog on how to do something and give a link on your Facebook page. Not just engagement, the post will provide you free blog traffic as well. There are thousands of people who want to feel smart over Facebook and love brain teasers. Put interesting mathematical tricks, puzzles or simple general knowledge questions, and see how people love to answer them. You can also put an award for the best entries and boost your online engagement. Identify a common problem or a challenge that your audience faced in day-to-day life and share a tip for solving that. Educate people while positioning yourself as an expert for a particular field. People will love to revisit your page and start to count on you for the updated information. They would also love to share your posts with their family and friends to create maximum awareness. Once in a week, put a post where you give opportunity to people to tag their Facebook Fan Page in the comments section. 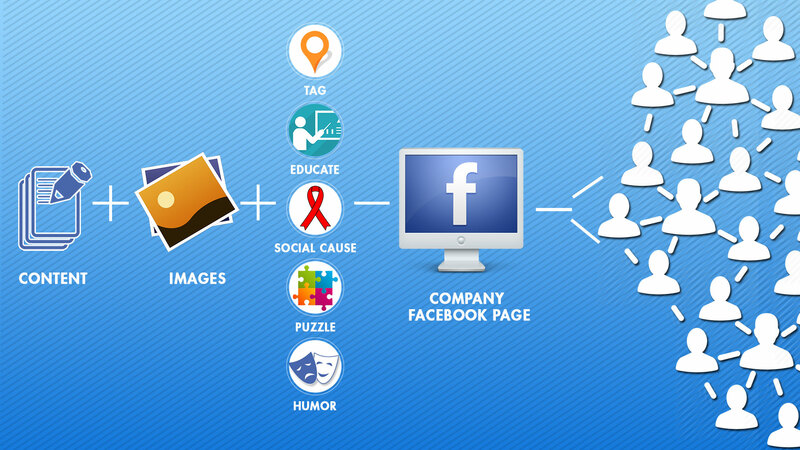 This will help them promote their own Facebook profiles, pages and topics of their interest. In return, ask for likes, comments and sharing of your posts on their profiles. Remember the first point – Be relatable! Your online community would love to read ‘humanizing’ posts from your end. You can write few posts related to sexual violence, tobacco use or child trafficking. Inform your audience and create awareness about these issues. Not just this will improve your brand image but also boost your Facebook traffic. ← Growth Assessment: Why IT Staffing Services are Important?